Yukisio's sea salts from the blue sea of Miyako Island are pretty famous in Okinawa making them one of the most sought after choice as souvenirs for tourists. 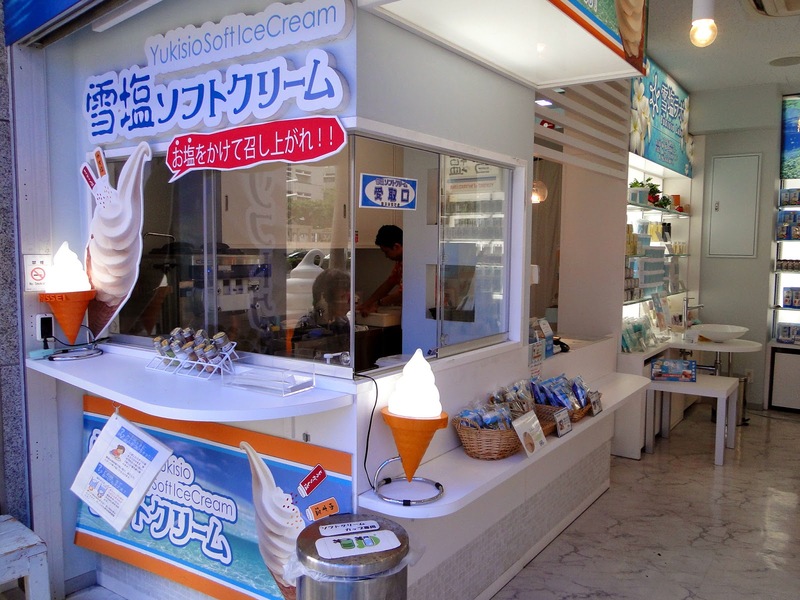 But apart from their sea salt (and brown sugar), Yukisio also has a small soft serve ice cream shop (雪塩ソフトクリーム) that is quite popular among the locals and tourists. Their little ice-cream shop on Kokusaidori (国際通) is located right across the street from パーラー わくた where we had our bitter melon ice-cream a few nights ago. And if you think their ice-cream lightly flavored with sea salt was too dull for you, feel free to sprinkle some more salts on top! 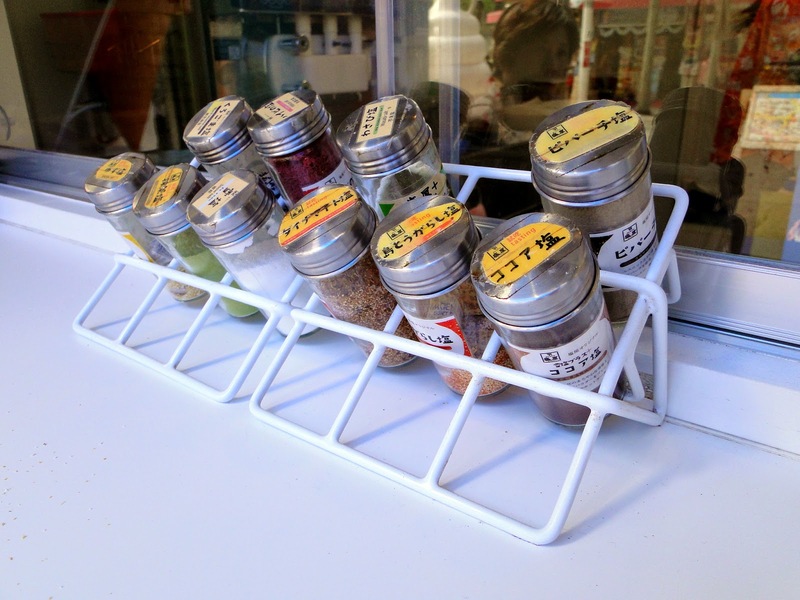 They have 10 different flavors of salt for you to choose from, including purple sweet potato, green tea, cococut, yuzu etc. This is really creamy. The sea salts were very good complements while not too overpowering.